There's nothing like a fun manicure to pep you up so when I spotted this new "Color Show" nail polish at CVS last week I had to give it a try. I love how it looks layered over this lavender polish. It reminds me of the paint splatter look that was so popular in the 80's. 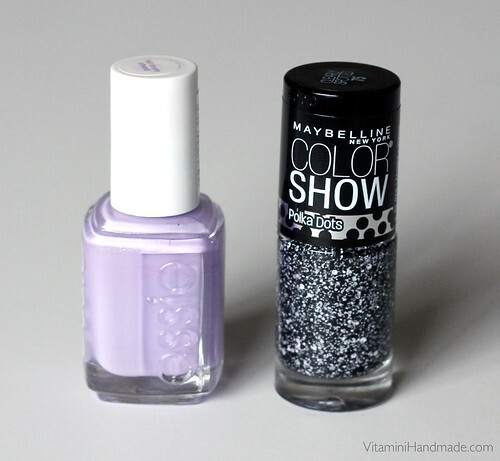 The colors I used are Essie Full Steam Ahead and Maybelline Clearly Spotted.